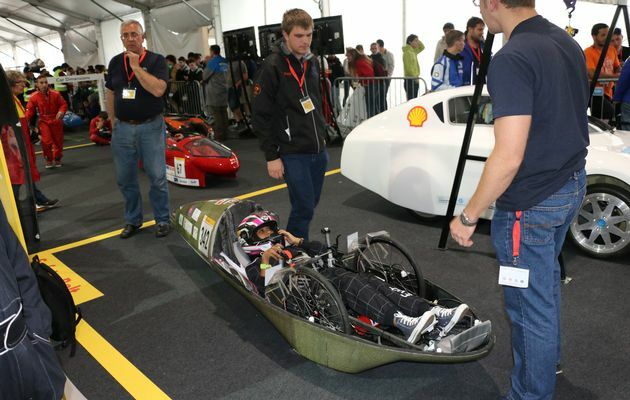 The UJ team‚ the only African one to race officially and which consisted of eight engineering students‚ was one of 50 teams that registered in the category Prototype. Of those‚ 45 teams passed technical inspection and 30 teams registered valid racing results in London. Teams from Tunisia‚ Morocca and Nigeria registered for the Eco marathon. These teams did not post valid racing results or did not pass technical inspection by Shell.The team was pleased with their vehicle’s results and believes the Shell Eco-Marathon Europe will help them prepare and improve their Prototype Battery Electrical vehicle for the African Shell Eco-Marathon race in August 2016. ”The race was intimidating because the other teams have been racing for longer. It was a lot of fun too‚ driving a tiny car going quite fast. The car is so tiny and you’re strapped down. You’re almost in a sleeping position driving it. That’s not ideal for driving but it is the most energy efficient‚” said Thomas.